John Mellencamp’s taking a bit of a victory lap across Canada this fall, a lengthy, coast-to-coast trek over six weeks, with a generous 24 shows from Halifax to Abbotsford, B.C. It’s an extension of his Sad Clowns & Hillbillies tour from 2017, but comes after his June induction in the Songwriters Hall of Fame, a full exhibit at the Rock and Roll Hall of Fame, where he was inducted 10 years ago, and to top it off, the Woody Guthrie Prize, which he was honoured with in August. It takes a lot to wipe that pop smell off your legacy though, and even when Mellencamp was writing about small towns and scarecrows and pink houses, he made them so damn catchy they hit the top of the charts too. But 30 years later, after the rise of Americana, and after working with people such as T-Bone Burnett and Carlene Carter, Mellancamp’s now finally where he’s much more comfortable, best classified as a roots artist and songwriter. Except, well, he’s enough of a pro to know he can’t disappoint all those old fans, and this John Mellencamp show sticks pretty close to what the crowd wants to hear. That impressive streak of 22 Top 40 hits from the ’80’s and ’90’s forms the bulk of the set list, with just a small sampler of recent cuts to keep the crowd honest. Instead of an opening act, there’s a half-hour biopic telling his story, how he never wanted to be no pop singer, how he felt uncomfortable about the hits, then the heart attack, some time off, and how he’s come to terms with it all. What isn’t included are those most obvious pop numbers – no “Hurts So Good” or “This Time.” The oldest song is his first #1, “Jack & Diane”, but that one is delivered solo, with just his acoustic guitar. Stripped of its ’80’s production, it’s still catchy as ever, with the Saint John audience leaping in to sing along. 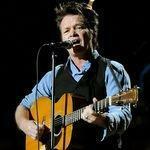 Mellencamp has argued, not without cause, that he helped lead the rise of No Depression with his signature sound from the albums Scarecrow and The Lonesome Jubilee, heavy on the violin and accordion sound. That’s what his current six-piece group delivers, with “Pink Houses,” “Crumblin’ Down,” “Authority Song,” and of course “Small Town,” all what we’d now call roots-rock. Genres aside, they still remain massively popular. With so many hits offered, the audience had no problem accepting the few lesser-known new songs. Best of them is “Easy Target” from the Sad Clowns album, about the poor, the disadvantaged and the minorities who are easy targets for the political and financial elite. He prefaced the song by suggesting Canada should build a wall, but just a tiny one of a few inches, enough to keep out the gullible people living below us. It’s pretty much the same tour he did in 2017, front-loaded with the biggest ’80’s hits, a medley of “Authority Song” and “Land of 1000 Dances” to get the crowd pumped for the end, and a closer in the form of the nostalgic “Cherry Bomb.” It’s 90 minutes, no encore, plus the film to begin. It will be interesting to see if it evolves over the course of the Canadian tour, as he has a new album, Other People’s Stuff, arriving in November. Call him roots, call him rock, just don’t call him no pop singer.